Pink and red are too cliché for Valentine's Day? Then ditch those colors and opt for blue instead! 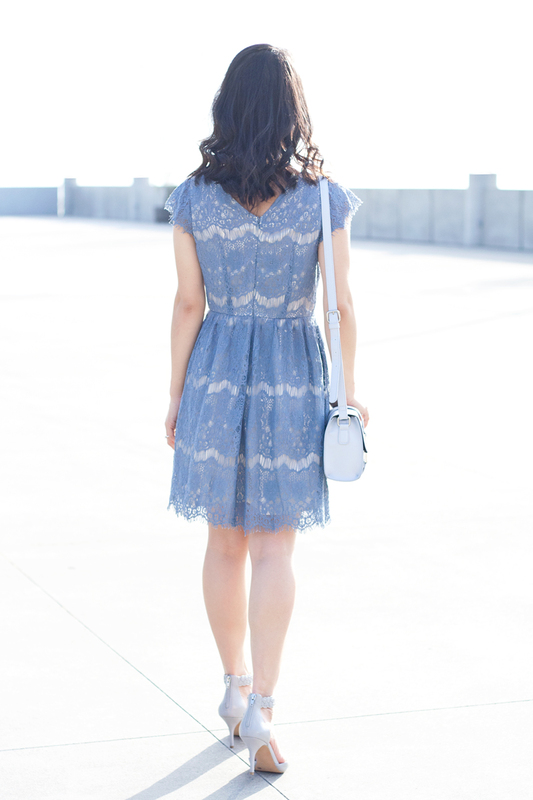 Blue can be equally as romantic and feminine if you find the right piece, like this eyelash lace dress! 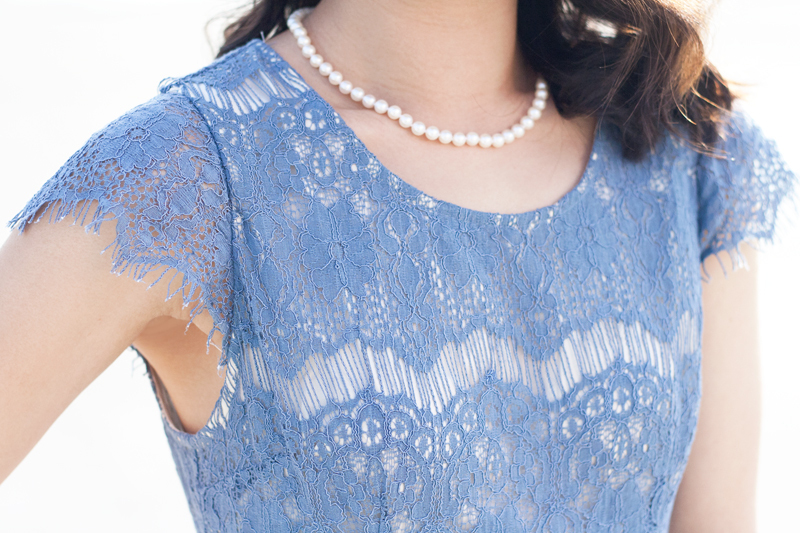 It is perfectly tailored yet delicate and that dusty periwinkle blue color is simply lovely. Whether you are going on a date or just hanging out with girlfriends, this little number paired with a light blue buckled crossbody bag will sure stand out in a sea of pink and red this February 14th! Eyelash lace dress c/o F21. Buckled crossbody bag c/o F21. Linn braided ankle strap heels c/o Sole Society. 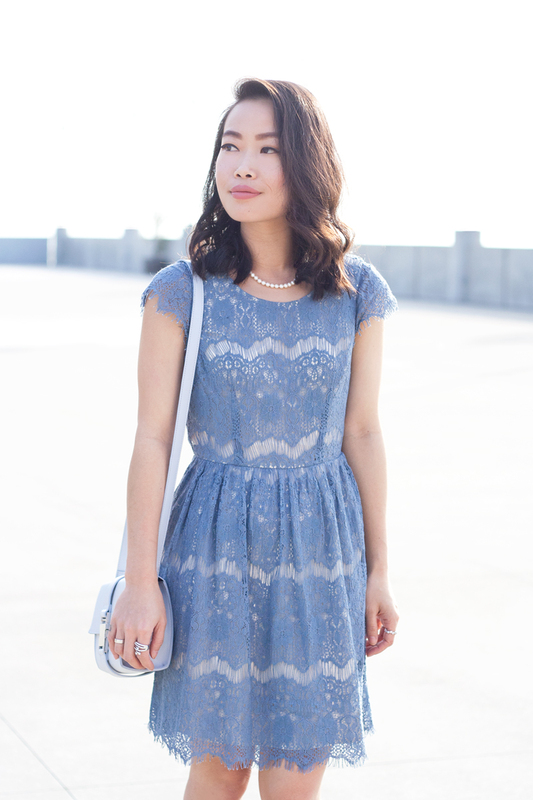 I've worn a blue lace dress on Valentine's Day before too! It can be just as festive and romantic as red and pink. Your blue dress is just gorgeous. I love the heels you paired with it too. I love periwinkle - it's the grownup baby blue and easier to wear!